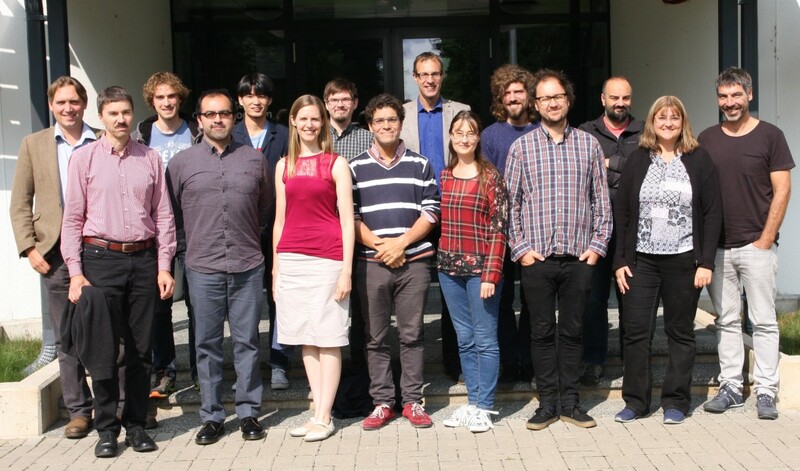 About thirty researchers from nine different institutes are involved in the development of the Earth Observation platform MULTIPLY. Each partner focuses on a different aspect, and combining these into one functioning platform is a challenge according to software engineer Tonio Fincke from Brockmann Consult. 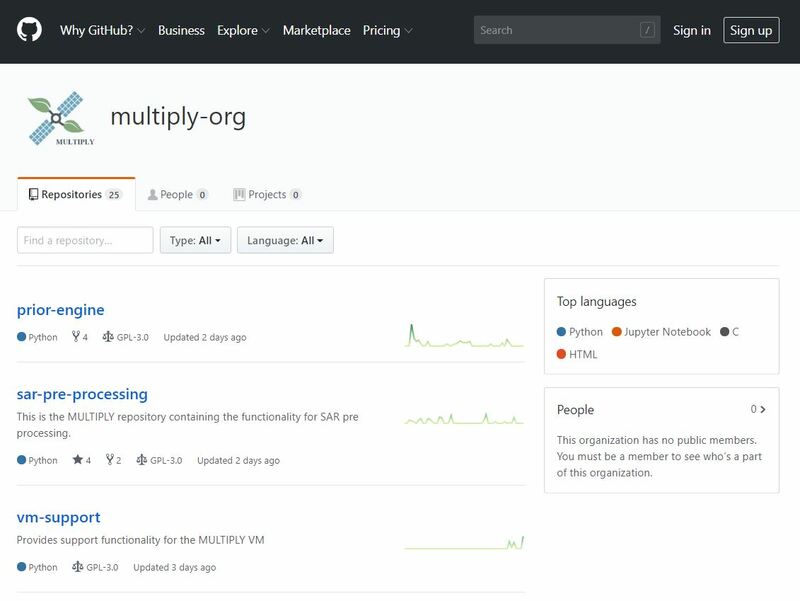 “We have various parts within MULTIPLY like the different pre-processing steps, the inference engine, the prior engine, and the post-processing applications. I focus on putting all these parts together in a common platform where they can work together and are provided with the data that is needed,” Fincke explains. To achieve this, he works closely together with the partners and is available for their questions. “The challenge in bringing the different software parts together is that software can be a black box. You must give the software the correct type and form of data to let it function. It was nice that everyone was using the coding language Python, as this made it easier to integrate and construct a common code base. At the same time, it was also challenging, because there can be differences between packages that different people use, which can cause conflicts. So, we had to adapt some of the code to a common base as we wanted to avoid these conflicts,” says Fincke. From the press release as published on the Website of Leiden University. 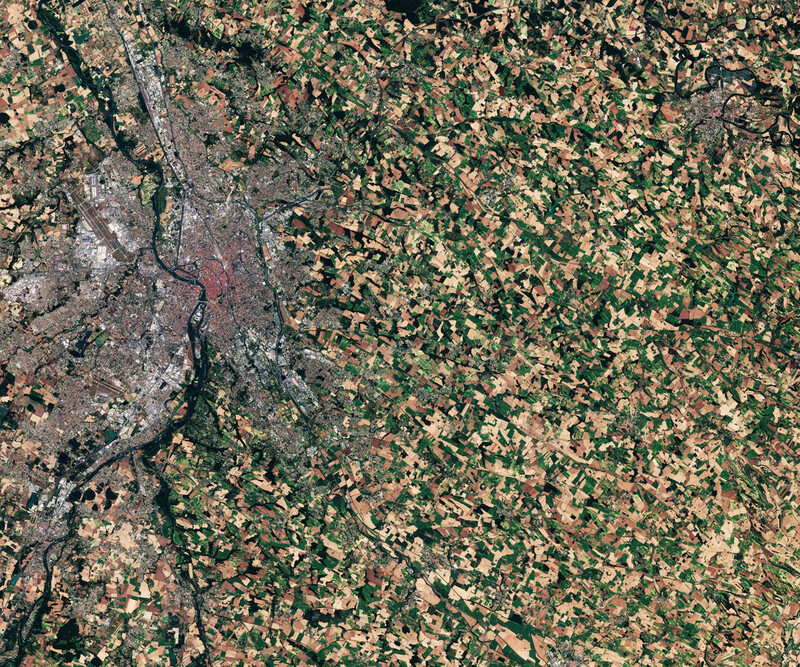 City of Toulouse in Southern France with surrounding agricultural fields. Captured on 10 July 2017 by Sentinel-2 and processed by ESA. 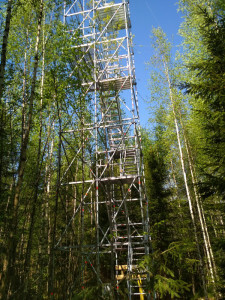 Climbing towers in Finland, the Netherlands, and recently in Ghana, PhD candidate Amie Corbin is crossing borders to collect essential data on vegetation for the MULTIPLY platform. 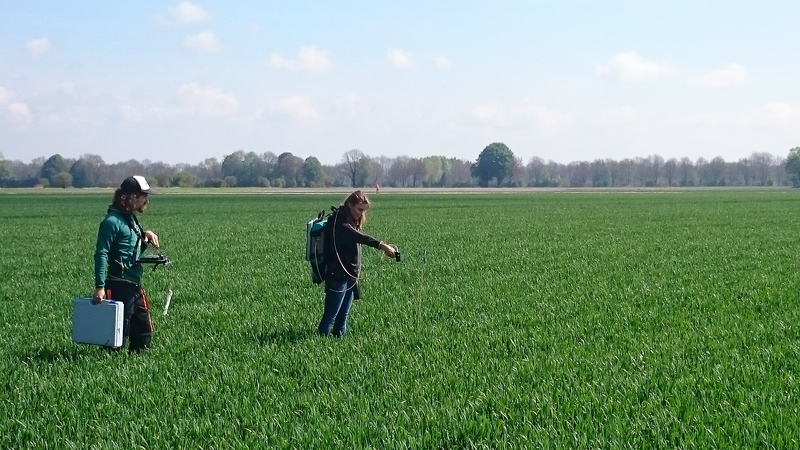 For her research at the Institute of Environmental Sciences at Leiden University, she studies the ecologically important plant traits that can be measured from space. Using a field spectrometer, Corbin measures the reflectance of light. This is similar to how satellites measure reflected radiation from space. 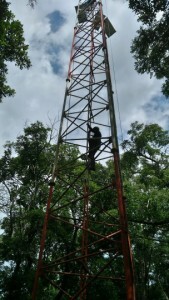 But the field measurements result in a higher resolution. “To measure the reflectance, one sensor was placed at the top and one at the bottom. The more plants there are, the less of the light that can be used for photosynthesis will make it to the ground level. Based on this difference we can measure the Leaf Area Index, the amount of leaf area,” Corbin explains. A big challenge Corbin encounters during her research is the clouds. Because clouds influence her imagery. “As a person who does not like the heat I am glad when a cloud shows up but as a scientist I really need them to be gone,” says Corbin. Fortunately for her, there are other researchers in the MULTIPLY team who atmospherically correct the images. At certain points during a Horizon 2020 Research & Innovation Action, the project consortium meets for a review meeting. Together with the project officer of the European Commission and with an external reviewer they review the progress of the project. For the MULTIPLY project, on the 28th and 29th of Augustus, one of these review meetings took place at the Tartu Observatory in Estonia. 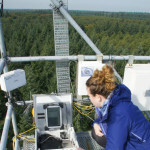 Amie Corbin is a PhD student at Leiden University who develops vegetation priors for the platform. 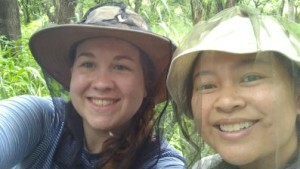 From June to Augustus she will be in the Kogyae Strict Nature Reserve in Ghana to collect data. You can follow her adventures through her website. 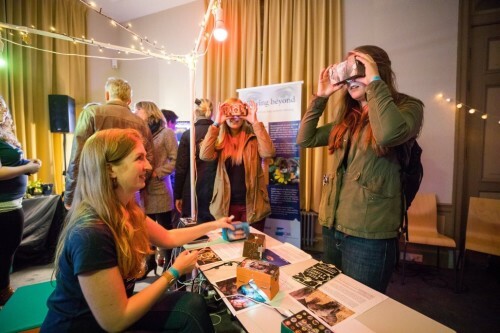 Team members from Leiden University participated in the “Night of Arts & Science”, on the 16th of September in Leiden. 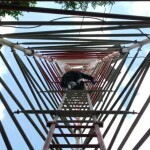 Together with other staff members from the CML, Joris Timmermans, Leon Hauser, and Amie Corbin created “Viewing Beyond”. Using remote sensing technology in several interactive exhibits, they opened the visitors their eyes and let them view beyond the capabilities of the human eye. Using cardboard VR glasses, people could experience how animals see the world. With their left eye, they saw as a human and with their right eye as another animal species, like a bee, a shark, or an eagle. The visitors explored a world that is usually hidden from human eyes. With a living experiment, visitors observed how remote sensing technology works. Using spectrometers, the reflected light from different types of plants was measured and broadcasted live on a screen. The visitors learned how different plants and different conditions, like varying moisture content or a nitrogen deficiency, yield different outputs. To discover the various possibilities of remote sensing research, some examples were shown in a slideshow on a screen. For example, how thermal imagery was used to map hurricane Irma and night observations are used to monitor the world light pollution. This last subject was further explained in the final part of the experience. To make people aware of light pollution, people could see the light pollution on a special nighttime globe. 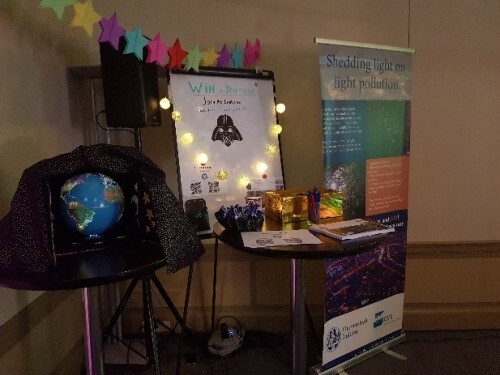 Also, visitors could ‘join the dark side’ and contribute to citizen science projects on light pollution. One of these was created for the festival. Visitors could download a lux meter app and search for the darkest spot in the botanical gardens. By handing in their data they could win a price. With Viewing Beyond visitors viewed the world beyond their eyes and shared and discussed their experiences and views on research with scientists. This expanded the knowledge of both the visitors as the participating scientists, hopefully leading to a brighter future with darker nights. 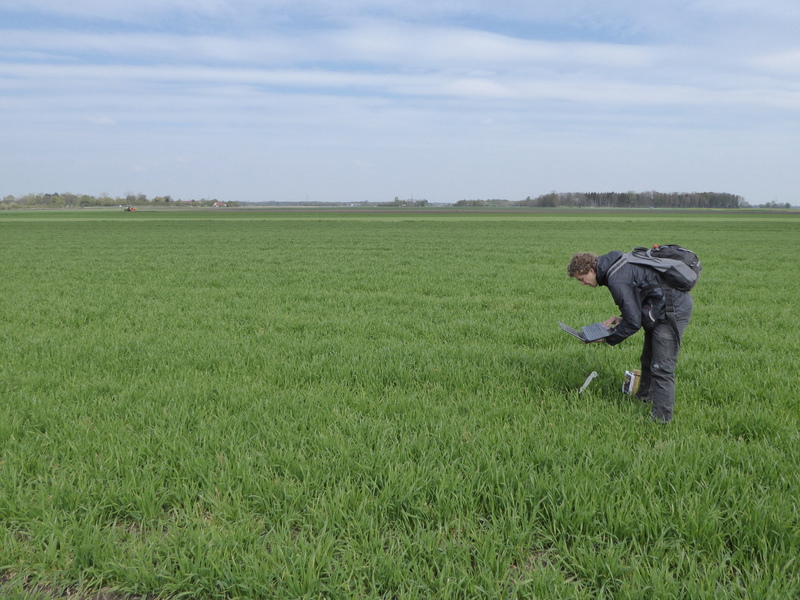 A comprehensive field campaign is conducted by the Ludwig-Maximilians-Universit ät München (LMU) to collect in situ information for the validation of satellite-based retrievals of land surface parameters. 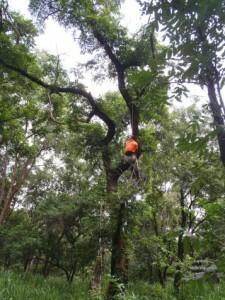 These measurements will be used within MULTIPLY to validate the retrieval results of the MULTIPLY platform. “Our campaign will last for the entire vegetation period in 2017 and collects data from a variety of different land cover types and different soil conditions”, says MULTIPLY team member Prof.dr. Alexander Loew. 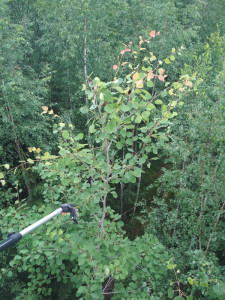 During the LMU campaign essential characteristics of vegetation and plant conditions are collected, like e.g. information about vegetation biomass and water content as well as the soil moisture content. 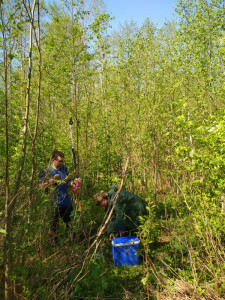 In addition, ground-based measurements of the surface radiation fluxes and spectral properties of the plants are collected. The LMU team goes into the field on a regular basis during COPERNICUS SENTINEL satellite overpasses. ADAS, Assimila and UCL are using the thinking from MULTIPLY to develop the concept of a ‘Crop Intelligence System’ that could provide information to growers on crop growth and performance. The team won an Innovate UK feasibility study under the Satellites for Agri-Food programme. The project started in July 2016 and runs for twelve months. It aims to examine both the technical and commercial feasibility of generating ‘canopy curves’ on a field by field basis for all fields within a region, or country, allowing comparisons of crop performance between fields, farms, years, soils and management practices. 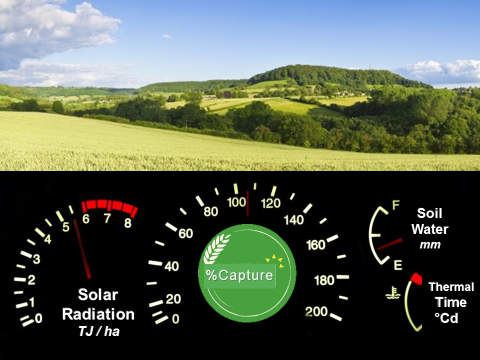 By integrating with soil and weather datasets it should be possible to provide a dashboard for crop growth. Giving information on light and water resources available and captured in each field. 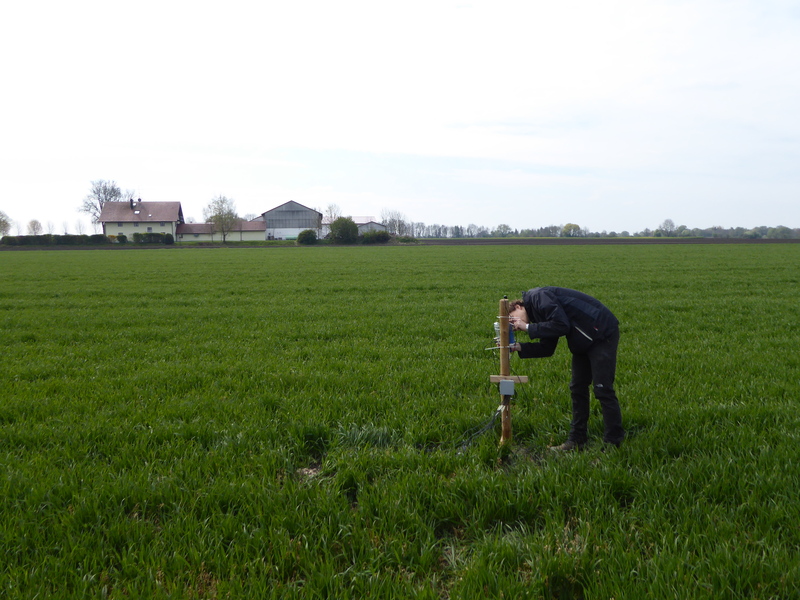 This would be an invaluable tool in the Yield Enhancement Network (YEN) which seeks to understand variation in crop yields in the UK and across Europe. The MULTIPLY and Crop Intelligence System projects have been presented to farmers and industry participants at YEN meetings in November 2016 and spring 2017. 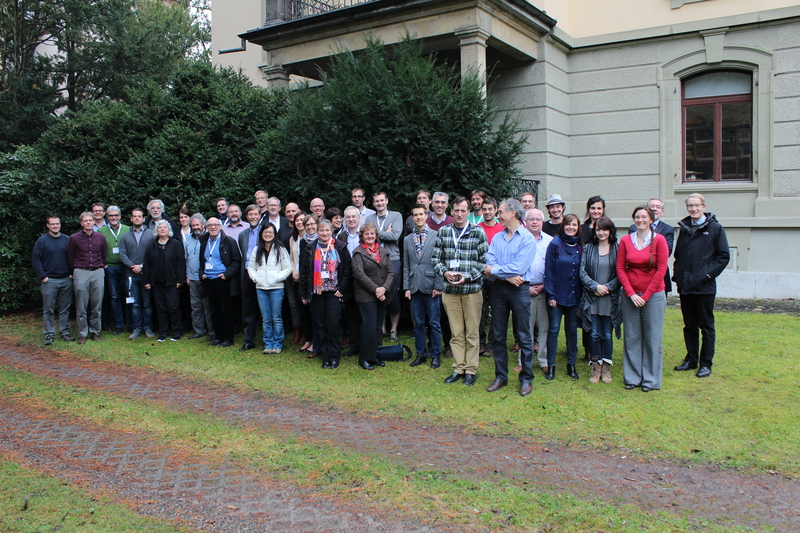 The workshop aimed to connect the world’s leading scientists working on hyperspectral data for interpretation of the land surface with international scientists involved in the scientific preparation of several future hyperspectral satellite missions. Amongst others, MULTIPLY was presented as a critical tool to evaluate the added value of hyperspectral data over multispectral Sentinels data. It is a way to integrate information from multiple satellites and an important step forward for understanding land surface and system Earth.